Living a Fit and Full Life: Enjoy Game Time with Best Choice Products Ladder Toss Game Set! Enjoy Game Time with Best Choice Products Ladder Toss Game Set! The Bolo Ladder Toss Game is a fun, easy-to-setup game for outdoor or indoor use. Perfect for four players, split into teams of 2 and try to be the first to 21 points by tossing your bolos at the color-coded bars, each worth a different amount of points. A game of strategy and skill, children and adults alike will have fun for hours. When done, simply pack up the set in the included bag and it’s ready to take with you anywhere! 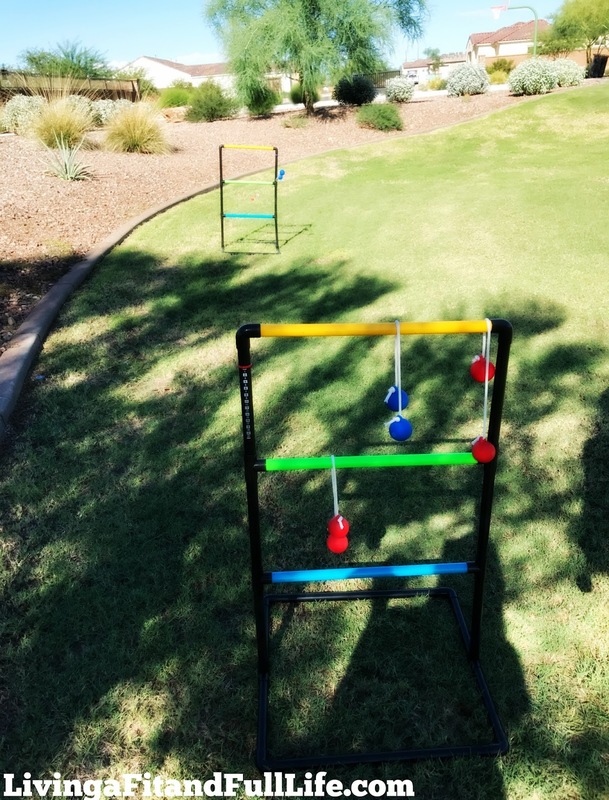 Get your game on with the Bolo Ladder Toss Game from Best Choice Products! 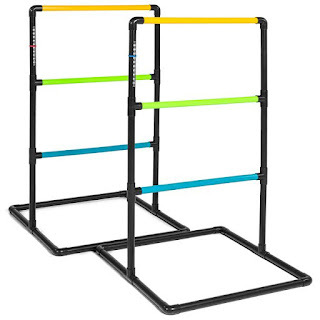 Best Choice Products Ladder Toss Game Set is perfect for outdoor play! We just moved and now have a really big backyard so I set up the Ladder Toss Game Set and my husband and kids immediately began playing. I was very impressed with how easy it was to set up. I also love that it comes with a bag so that when we're all done playing we can take it apart and place it neatly back in the bag until next time. The bag also makes it extremely portable so you can take it with you wherever you go! 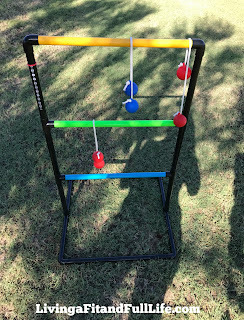 The Ladder Toss Game Set comes with 6 Rubber bolos: (3) red and (3) blue so that you can play teams. I also love how easy it is to keep score since it has a built-in score marking and color-coded bars. Best Choice Products Ladder Toss Game Set is an absolute blast and the perfect way to spend some quality family time together!